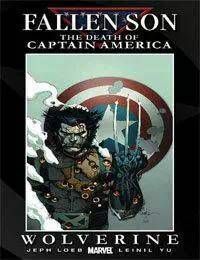 How will Wolverine react to the death of one the most beloved characters in the Marvel Universe? He aint buyin it! Join Logan as he tries to track down the truth and hes not going to be happy when he does! The secret story that will transverse the post Civil War landscape – and stars Marvels most popular characters – begins here! How do people with amazing powers face a force that no one can fight? Who has fallen, and is more violence coming? With Wolverine on the scene, is there any question? Be there as superstar Jeph Loeb teams with the industrys top artists on a story that will have everyone talking! Loeb! Leinil! Logan!